In 2018 Panasonic TVs are presented to buyers. If we consider the offered TV sets in different countries, then we can note the following. USA – since 2014 Panasonic TVs are not sold in the US, but Panasonic TVs are sold in Canada. The ninth and eighth series in Europe are TVs with OLED screens, in Australia OLED TVs are only 9 series, 8 series with IPS screens. 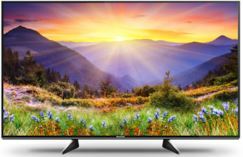 7 series – transitional TVs in it there are models of TVs with screens supporting 120 frames a second in such TV sets there is a matrix of the screen with a depth of color of 10bit and a matrix with support of 60 frames per second in such TVs matrix screen 8bit. But the backlighting is applied to create additional shades conventionally the TV supports 10bit (8bit + frc). Screen resolution UHD. 6 series – in this series TVs with smaller screens, but similar to the 7 series with 8bit matrices. 5, 4 series – TVs with screens from 24 inches and resolution HD screen, Full HD. More details about Panasonic TVs can be found in the table.